Of what does that remind you in earlier biblical tradition? This subtle little detail is John’s hint that this story shares some significance in light of the Genesis story. Just as God began to create the world on the first day of the creation story in Genesis 1, so too is the world being re-created in the Resurrection of Jesus! It is the first day of the inauguration of the kingdom of God, of God’s planned renewal for all of creation. 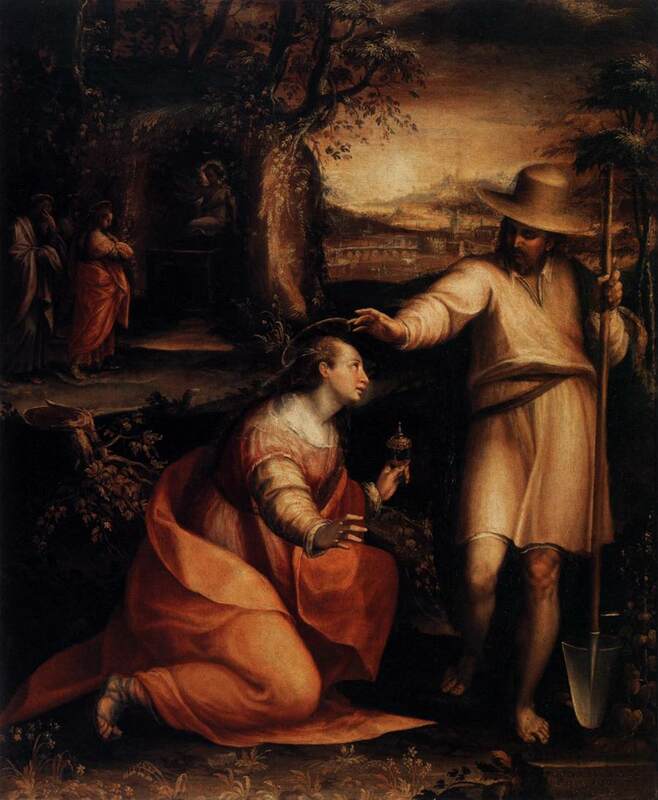 Later in the episode Mary Magdalene mistakes Jesus to be a gardener. Or does she? While in purely literal terms Jesus is no gardener, in another sense I think John is wanting to inject in this story another subtle allusion to the Genesis story. Like God, planting the earth and all that is within, and like Adam, charged with caring for the earth in those first chapters of Genesis, Jesus the cosmic gardener who is caring for the creation to bring it about anew. Today, on Easter Sunday, we again celebrate it being the “first day of the week”. In the Resurrection we find that the cosmic gardener is truly vindicated by God, and that his mission, to cultivate the new creation, the kingdom of God on earth, is active in all the world. Moreover this mission extends to us, we who have followed Jesus through death to life in the waters of baptism and in the life of discipleship. Posted on April 8, 2012, in Biblical Studies, Current Events, Mission, New Testament and tagged Easter, Gardener, Genesis 1, Jesus, John 20, Kingdom of God, Resurrection. Bookmark the permalink. Leave a comment.